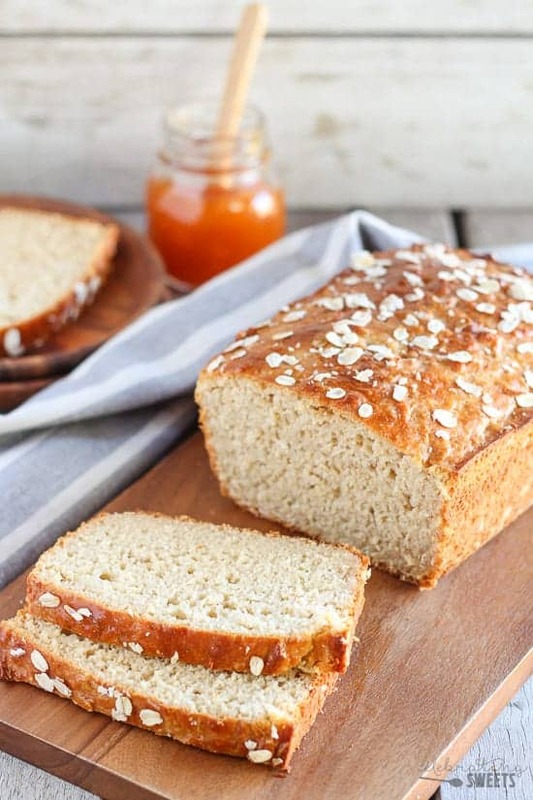 Honey Oat Quick Bread – A yeast free bread made with oats and wheat flour, sweetened with honey, and baked until golden brown. This easy no-yeast, no-knead recipe is ready in an hour! Oh, carbs!!!! I just adore them. Oatmeal Blueberry Bread, Pumpkin Bread…I love ’em all! A piece of good quality, really fresh bread is in my top 5 favorite foods of all time. Toasted slightly, smeared with butter, and sprinkled with sea salt. Now we’re talking. Sometimes the simplest things are the best. I rarely make bread at home. I lack the patience necessary to work with yeast. 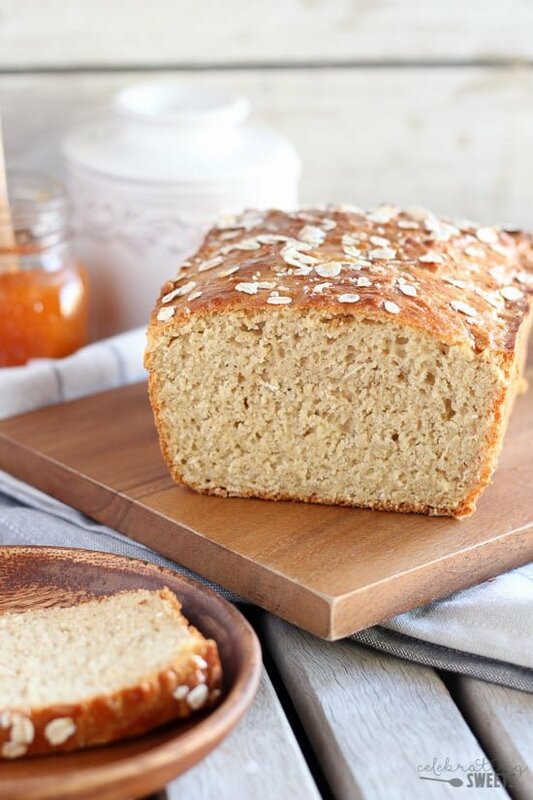 But, when I recently saw a recipe for a Honey Oat Yeast Free Bread I was immediately sold. No kneading, no rising, no waiting! Sign me up! 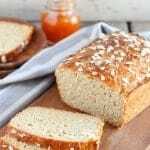 This bread is filled with oats and white whole wheat flour and sweetened with honey. Low fat yogurt, low fat milk, and canola oil add moisture. And although it resembles a loaf of sandwich bread, the texture and flavor of this bread is different, since there is no yeast. Think: quick bread, not sandwich bread. This bread has a lot going for it – it is tender and slightly dense with a fine crumb. The top of the loaf is golden brown and glistening with honey, and the interior is soft. 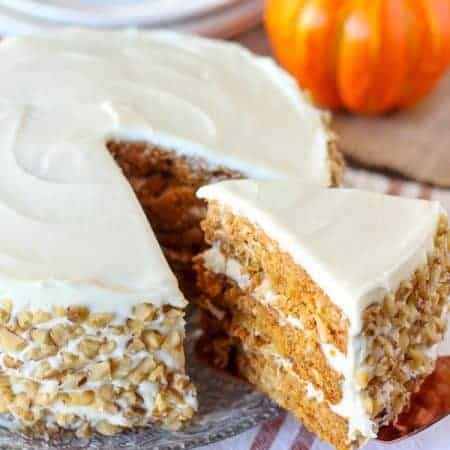 It has a slight sweetness without being too sweet. Plus, it’s good for you, too! This bread is fabulous straight from the oven or reheated in your toaster. Spread on some butter and top with sea salt, honey, or jam. It’s the perfect accompaniment to a bowl or soup or a salad, and it makes fantastic toast for breakfast. Wait, did I just make homemade bread in under an hour?! Yes, yes I did. 🙂 And you can too! Never miss a recipe – Subscribe to receive my recipes via email, or follow along on Facebook, Instagram, Twitter, Pinterest or Google+. 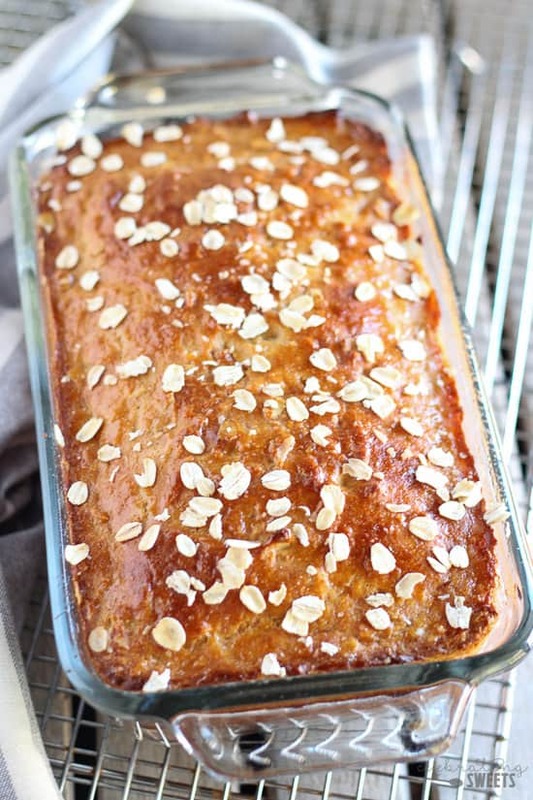 A tender loaf of bread filled with oats and wheat flour, sweetened with honey, and baked until golden brown. This easy no-yeast, no-knead recipe is ready in an hour! Preheat oven to 375°F. Generously grease a 9x5 inch loaf pan. Sprinkle 1 tablespoon oats in the pan. Tip the pan back and forth to coat the sides and bottom with oats. In a large bowl, stir together white whole-wheat flour, all-purpose flour, baking powder, baking soda, and salt. In a separate bowl, use a fork to beat 1 cup oats, yogurt, egg, oil, and 1/4 cup honey until well blended. Stir in milk. Gently stir the yogurt mixture into the flour mixture until thoroughly incorporated but not overmixed (excess mixing can cause toughening). Pour the batter into the pan, spreading evenly to the edges. Bake the loaf in the center of the oven until golden brown on top and a toothpick inserted in the center comes out clean, 30 to 45 minutes (beginning checking at 30 minutes). Remove from the oven and place the pan on a wire rack. 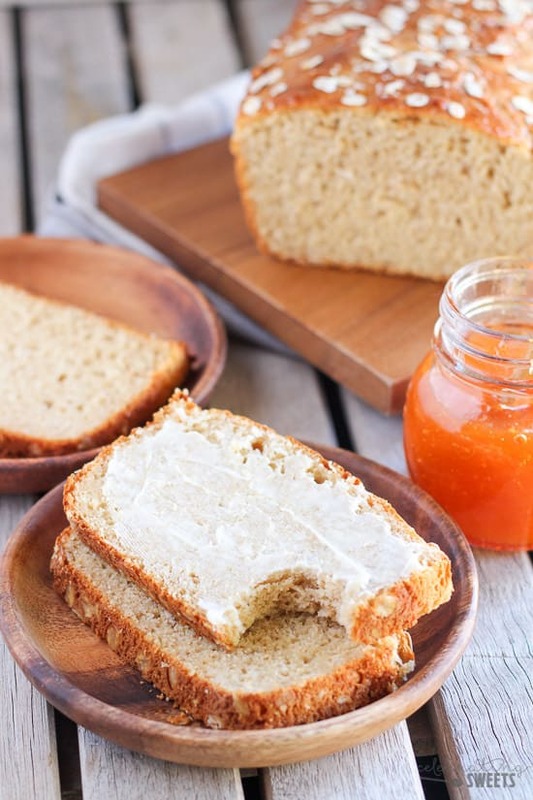 While the bread is still warm, gently brush the top of the loaf with 1 tablespoon of honey. 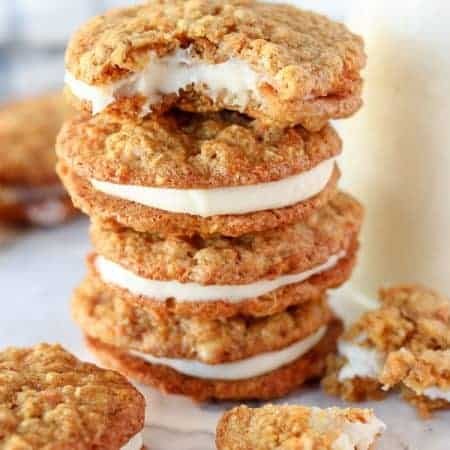 Sprinkle with 1 tablespoon oats. Allow to cool slightly. Serve warm. This is great bread. I just cooked it. And a different type of bread! Thanks for the recipe. Glad you enjoyed it! Thanks for taking the time to comment. You can try swapping the white whole wheat and all purpose flours for equal amounts of a gluten free 1:1 flour. 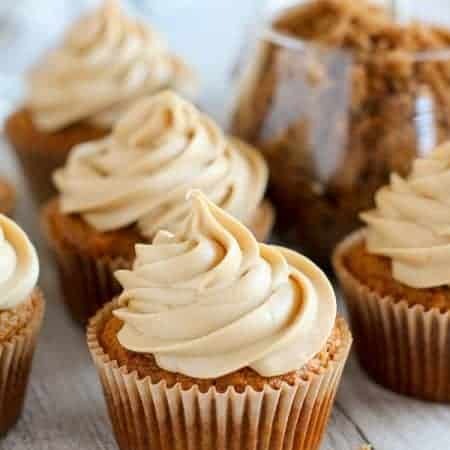 Can i use regular whole wheat flour? I live in Newfoundland and i haven’t seen white whole wheat. That should work, but it might come out a bit more dense. I’m glad you liked it! Thanks for taking the time to comment.